The cover of The New Yorker next week is "Walled In" by John Cuneo, who last year depicted President Trump enjoying a day of golf in the swamp. 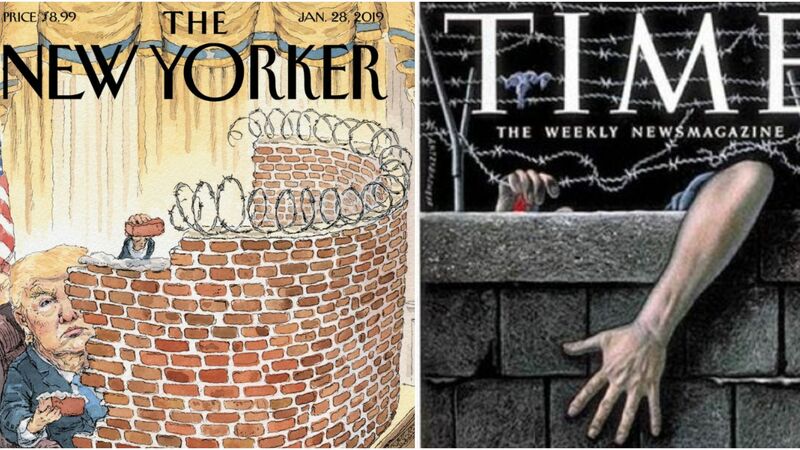 Why it matters: Next week's cover nods to a magazine cover from another era — a drawing from 1962 about the Berlin Wall ("Wall of Shame") by Boris Artzybasheff for Time Magazine. “When it comes to drawing Trump, I’ve kind of hit the wall myself,” Cuneo said. “Half of a face is more than enough."